I have had 2 transmissions and Differential rebuilt at this shop. My Escalade Differential was much cheaper here than the dealership, yet the work was excellent. That was 45,000 miles ago and still working perfectly! Awesome! These guys really know what they are doing. I looked around for a while to find a good shop and found this one. My dealership actually caused more problems than they fixed and A Affordable fixed every issue. They are professional but also very personable. I felt extremely comfortable and am amazed with how good the work was done, and as their name says, affordable! I won't take my car anywhere else for transmission work and will come back with every car I own in the future. Highly recommended! Thanks Randy! I would definitely recommend this company. We had a Very good experience with Randall and felt the price and workmanship was excellent. Out of 5 stars he gets a 5!! 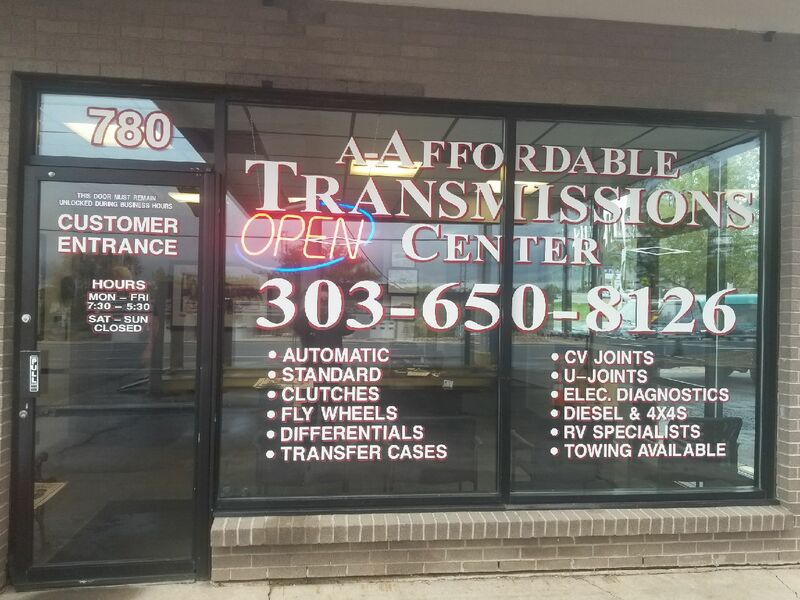 I would definitely recommend A Affordable to anyone that has a transmission problem. Everything they did was efficient and painless. From picking up the vehicle, to diagnosing the problem, to getting the estimate and how long it would take to repair, Randall handled all of it and was always available to answer any questions. Excellent service at a very reasonable price.